Please note this showtime begins at 12:20am, not 11:59pm! “Well, I’ve been staring at this open Word document for far too long now, not sure where to start when talking about the Shaw Brothers’ seminal KING BOXER. Do I discuss just how groundbreaking it was, as the first Kung Fu film to be a hit in the West? 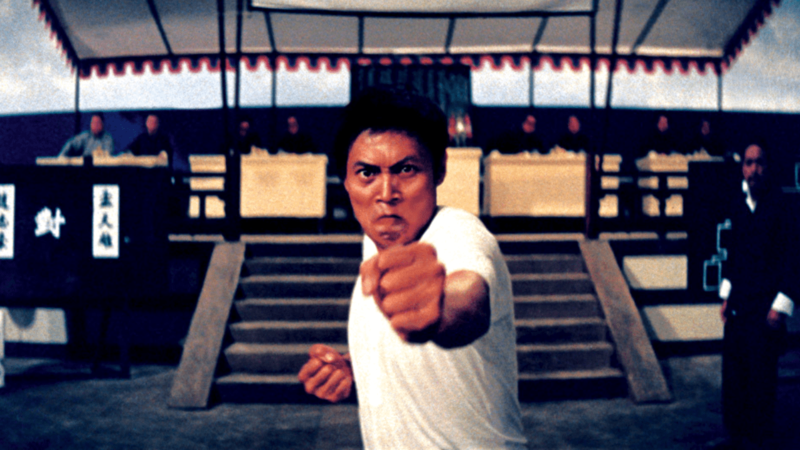 Released in the spring of 1973 under the exploitation-tastic title of FIVE FINGERS OF DEATH, it created a legit Kung Fu phenomenon which continued throughout the ‘70s. Or do I take a more trivial hook, discussing the most familiar musical cue in this film: a repeating klaxon stolen from the TV show “Ironside: It later gained fame in Tarantino’s KILL BILL but is probably less worthy than the stirring main theme of the film.